Inman is interviewing the top producers in real estate for this new profile series. Here’s Jason Benham of Benham Real Estate Group. I am headquartered in Concord, North Carolina, just outside Charlotte. We mainly work with foreclosed properties, and represent banks, government agencies and private equity funds. We have offices located in 35 states. 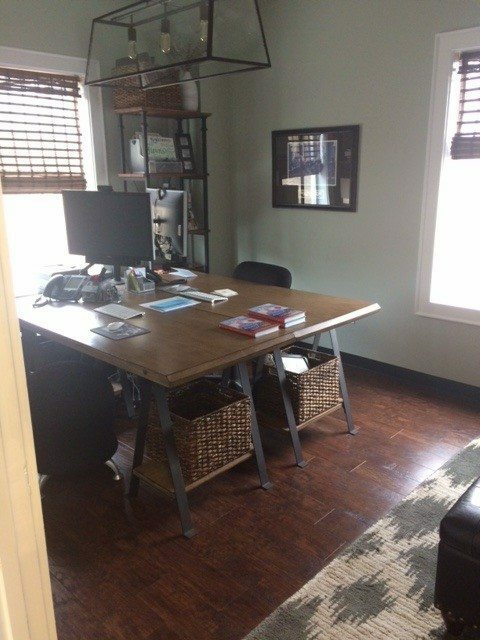 ​I started in 2003 working with a small real estate company in downtown Concord, North Carolina, and in 2004 I started my own company with my twin brother. When I was younger, I thought I would be a major league baseball player. I ended my career in the minor leagues and never made it to the majors, but then started selling real estate shortly after. I didn’t think I would ever grow as big as I have grown, and I give God all the credit. The fact that I built my entire business based on principles found in the Bible. I determined to run my business no different than I lived my life, devoted to God and honoring Him in all I did. I am doing it solo with a very gracious and gifted staff in place to handle the things I’m not good at! What does your administrative support team look like? I have a director, a manager, two portfolio managers, a premarketing rep, accounting manager, a valuations team and a host of field inspectors. ​The first thing I do when I wake up is spend time with the Lord, praying to Him and reading His Word. This sets me on just the right path for the day! I start my day from my home office, so this is how I start my workday. I end my work day by getting to “Inbox Zero”! Once the emails are cleared out, for the most part, I’m gone! Come home and play with my four kids! 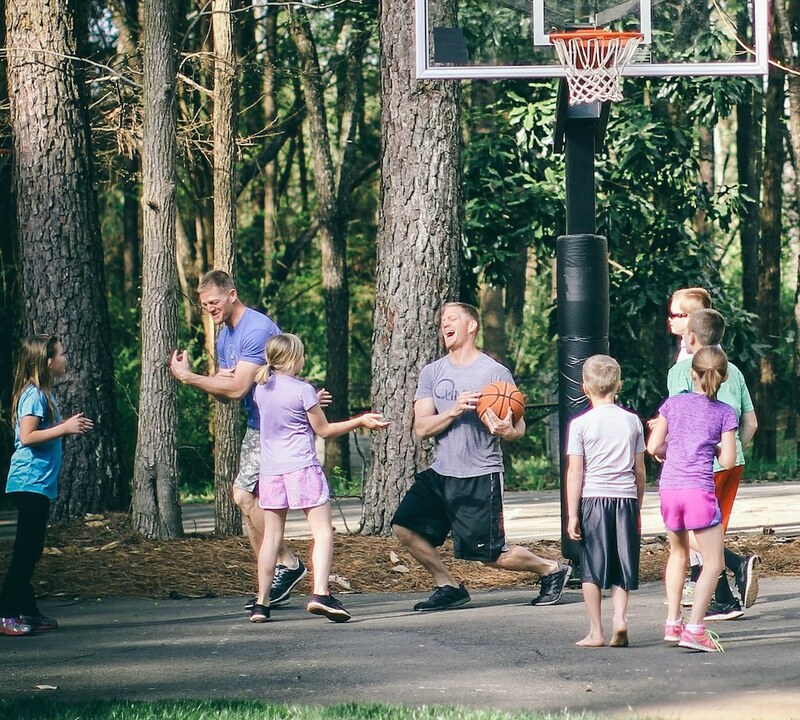 Benham playing basketball with his family. ​Anything that directly affects the bottom line gets my attention. I have outsourced the lowest-hanging fruit — things like MLS (multiple listing service) entry. The biggest barrier to success is climbing the ladder of success only to realize it was on the wrong wall. Most people don’t stop to define success before they go chasing after it. I always tell folks to simply be faithful right where they are, doing the best job they can possibly do, and success will chase you down — you don’t have to go after it. Stress doesn’t give you character, it reveals it. So when stress comes, I try to pay attention to what’s coming out of me — that will reveal what’s inside me. Then, when I wake up in the morning and spend time with God, I talk with Him about what I’m struggling with. There’s no way to describe the peace in my heart that ensues after I’ve given my stress over to my Creator. ​Mine just changed — I’m now traveling the country and speaking, along with co-authoring a book with my twin brother entitled “Whatever The Cost.” This is what I would have changed about my career two years ago. I’ve always loved sharing life lessons with other people, and now God has given me the opportunity to do it. Do you qualify as a top producer, and would you like to participate in our profile series? Email amber@inman.com.